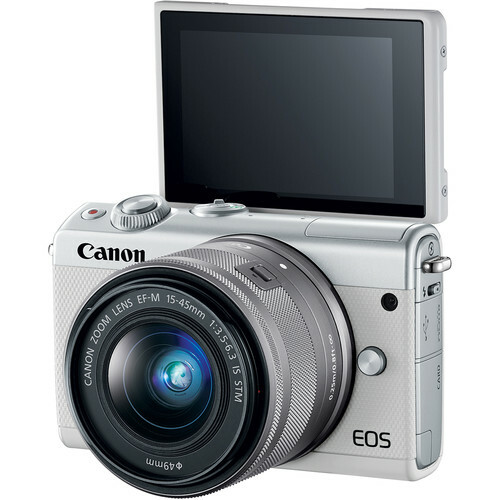 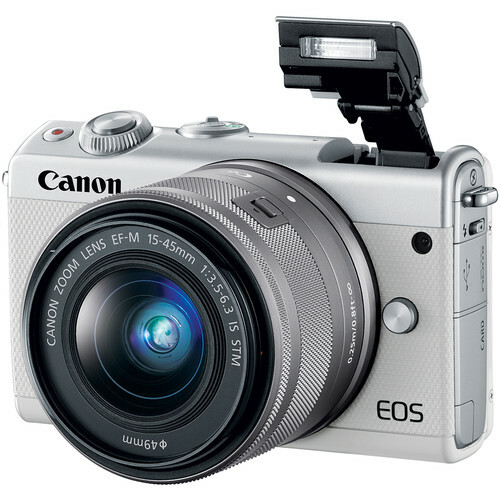 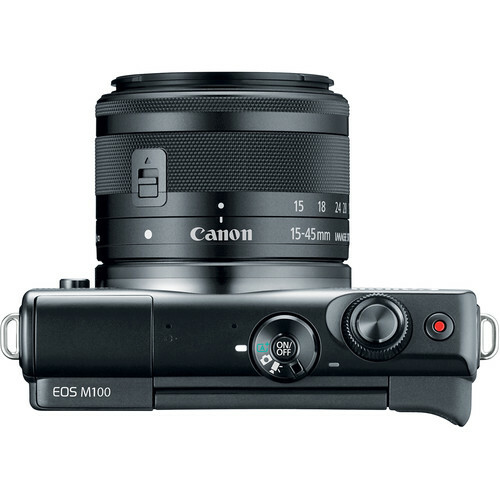 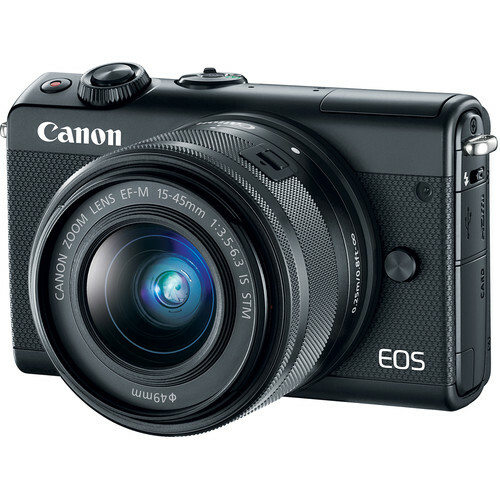 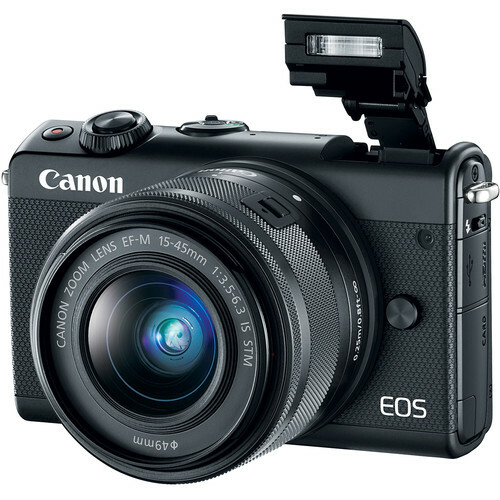 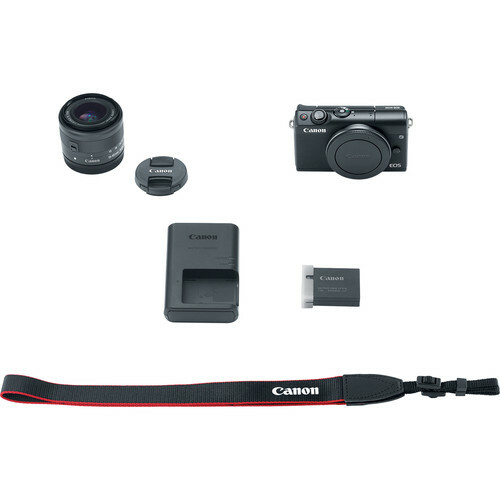 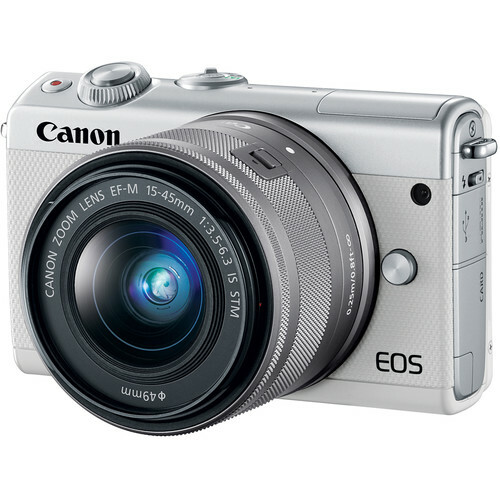 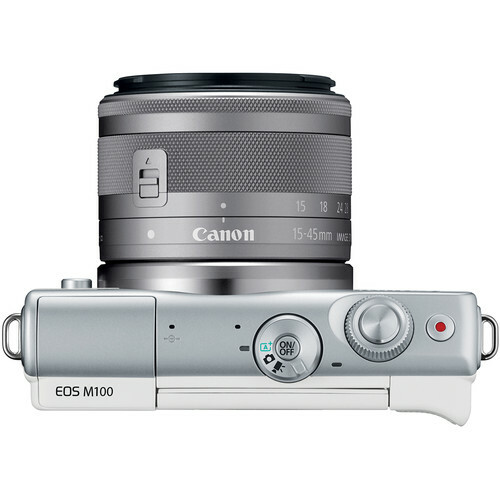 Compact and lightweight, the Canon EOS M100 Mirrorless Digital Camera with 15-45mm Lens (Black) makes a suitable everyday companion for those who want both an easy-to-use and highly capable camera system. 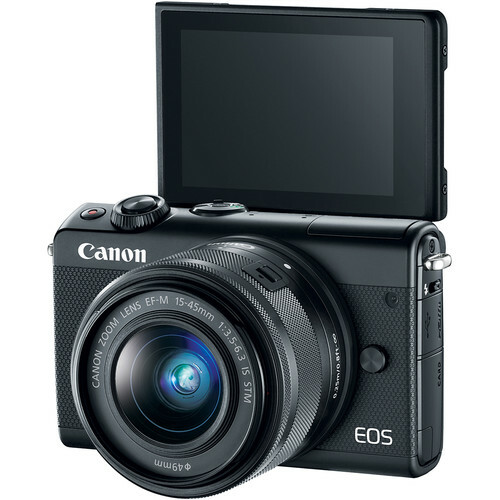 With built-in Wi-Fi, NFC, and Bluetooth, the 24.2MP APS-C camera makes it easy to share your snaps and videos almost immediately after you take them. 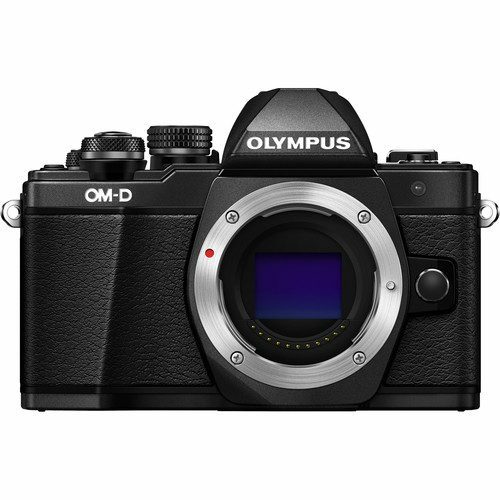 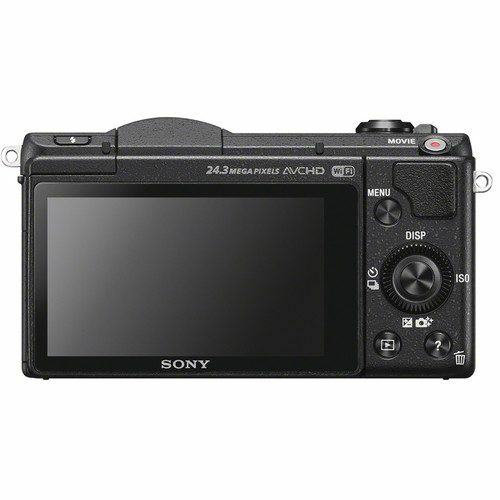 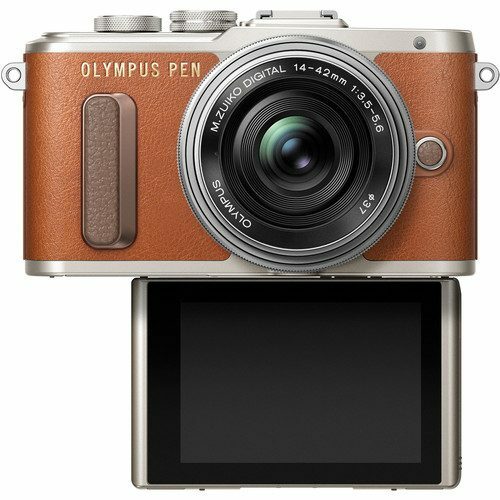 For those looking to expand their photography skills this camera is a great stepping off point as it has a Creative Assist feature that can walk you through how certain settings affect your image. 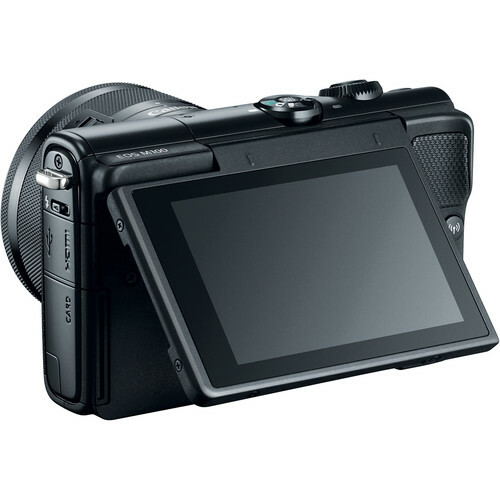 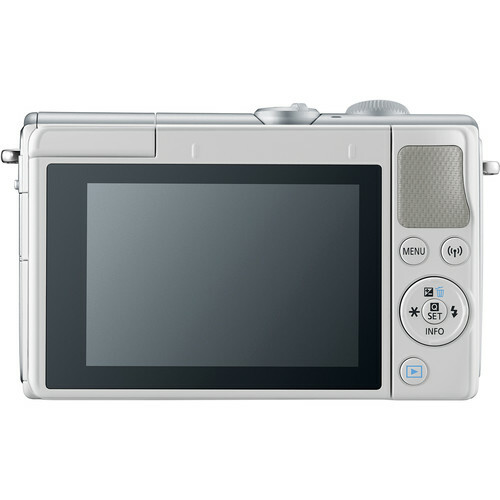 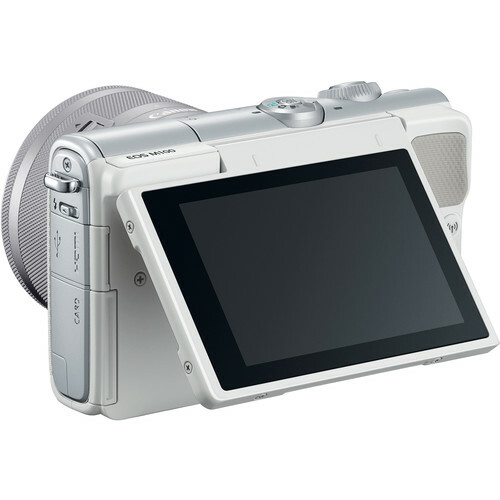 Or, if you simply want to capture your grand adventures with your friends, a Self Portrait mode is available for making use of the 180° tilt ability of the 3.0″ 1.04m-dot touchscreen LCD. 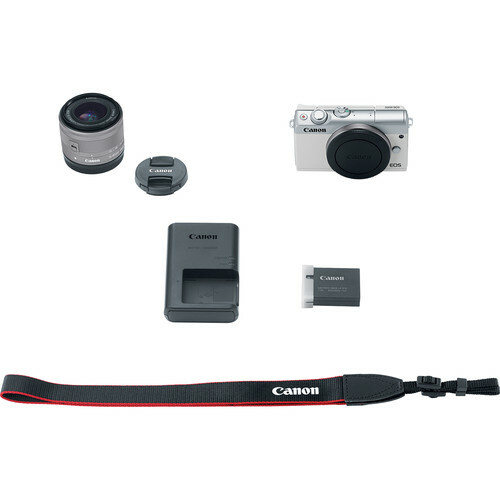 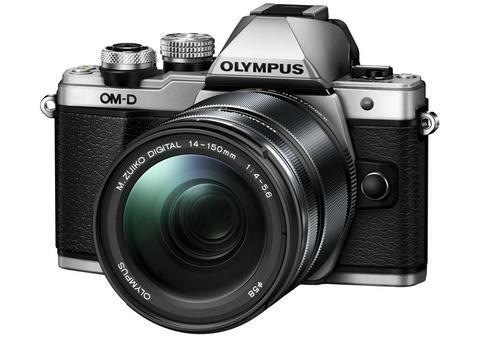 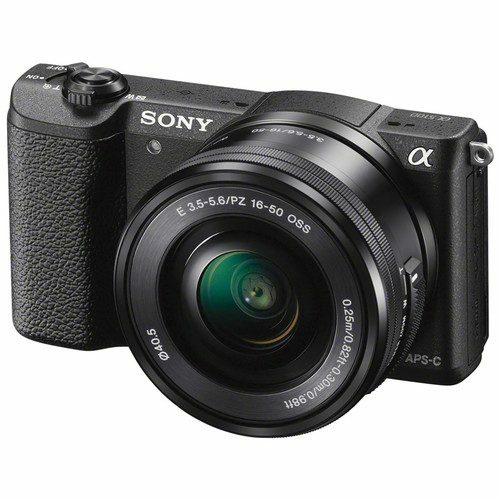 Included with the camera body is the standard zoom EF-M 15-45mm f/3.5-6.3 IS STM lens, which provides a 24-72mm equivalent focal length range. 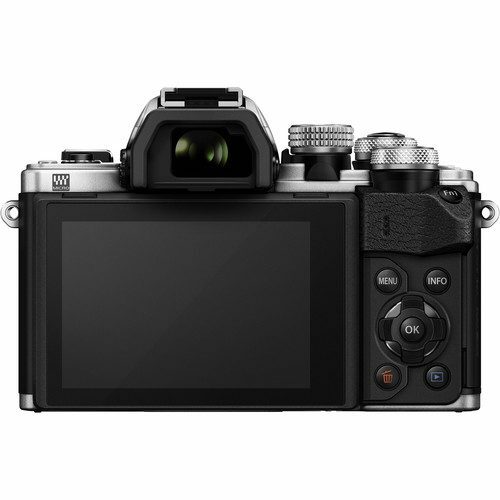 The STM stepping motor delivers quick, quiet autofocus performance and the Optical Image Stabilizer compensates for 3.5 stops of camera shake for sharper handheld shooting. 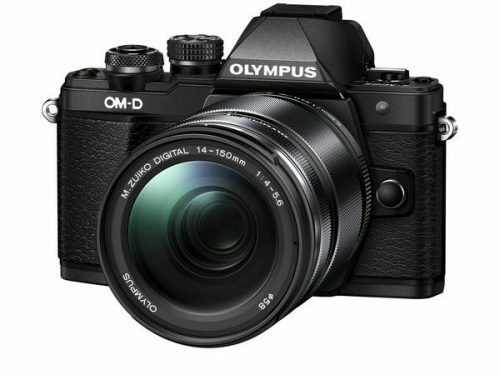 The lens’ optical design also incorporates a trio of aspherical elements to control chromatic aberrations throughout the zoom range for sharper, clearer image quality.